The bugle for the Lok Sabha elections has been played and political parties have begun their act of campaigning, with some having announced their candidates while some yet to announce who will be contesting the elections. Goa has two parliamentary constituencies electing two Members of Parliament, one each in the North and South. With a population of roughly around 15.10 lakhs (estimates of census in 2018), total voters eligible to cast their votes for the parliamentary elections is 11, 31,618 voters with 554072 voters registered in North Goa and 577546 voters in South Goa. The voting population includes the long standing debate of Goans and non-Goans or the migrants. Considering approximately 4 lakh migrant voters, their contribution comes to nearly 30 percent, which definitely can ‘make’ or ‘destroy’ a political dream. However, every community and area looks at every election differently. In 2014-15 a study conducted across 14 slums in the state found that the largest number of migrants hail from Karnataka, with the majority of them hailing from Gadag, Belagavi and Dharwad and belonging to the Lamani community. These migrants are engaged in fish selling, selling garments, work at construction sites, and work as suppliers and helpers in hotels. Goa has been an employment and occupational destination for migrants from Karnataka, Maharashtra and Uttar Pradesh who have resided in the state post-liberation. Bihar, Gujarat, Jammu and Kashmir, Jharkhand, Odisha, Punjab, Tamil Nadu and West Bengal added to the migrating population during the last two-three decades with the boom in tourism and real estate. It is estimated that over 35 percent of Goa’s population today constitutes migrants. Therefore it cannot be denied that the migrants play a decisive role in electing the representative to the Assembly or the Parliament. 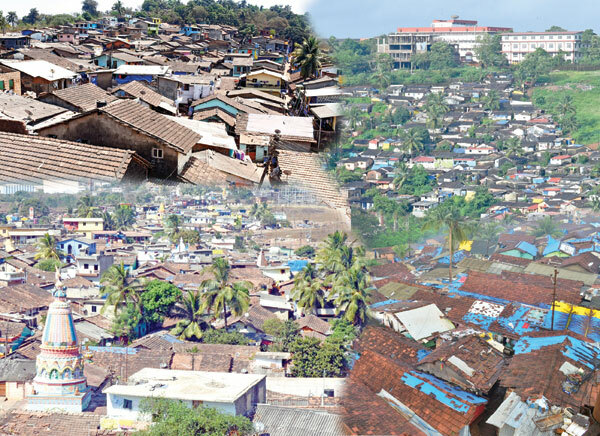 Migrants living in the slums can decide the fate of candidates in nine assembly constituencies-Cortalim, Mormugao, Vasco, Dabolim, Margao, Ponda, Mapusa, St Cruz and Calangute. It must be stated that candidates cannot ignore their presence in the other 31 constituencies also. The population in every constituency varies between 3,000 to 13,000 in areas like Sancoale, Zaurinagar, Upasnagar, Camrabhat, Indiranagar, Chimbel, Fukatnagar, Moti-dongor and Baina. All these migrant communities are also playing a crucial role in deciding the political future of the leaders as well as parties in the respective constituencies and collective for the State. Apprehension was expressed by an all-party delegation, led by former chief minister Manohar Parrikar (in 2013), which met then Prime Minister Manmohan Singh demanding Special Status for Goa. The delegation had stated “Unrestricted migration and whole-scale transfer of land is beginning to submerge the unique Goan identity. Though we have been noticing this trend in the last decade or so, it has now assumed menacing proportions. The apprehension is that by 2021 the migrant population will outnumber local Goans”. Community leaders express how politicians use these communities at the time of election and appease them with cash, goodies, food and drink in order to get their votes. Even elected representatives acknowledge that more than the development it is the appeasement in the run-up o the elections that matters. Nevertheless, he points out that the problem lies in the education level of these voters, again a question the voters themselves have been pondering and seeking answers from their representatives, who is to be blamed for the backwardness of these people. While he claims so, residents in Indiranagar in Chimbel fail to recollect when last time their Parliamentarian had visited them. Further the residents of Indiranagar do not consider them to be any major factor during the Parliament elections. Referring to the sorry state of affairs, the resident added that the community living in this area does not have any expectations from their representative. “We have no expectations from our representatives and therefore it’s just a matter of voting and exercising our right. We do make a difference during the Assembly elections but over the years there hasn’t been much that he people has benefitted”, the youth said. He further informed that Indiranagar is a dwelling space and almost the whole of the population works outside Chimbel except those who run stores of essential commodities. “Even the youth here do not look forward for government jobs as they get educated and start their own businesses or join their family business. We are happy in the way we live, he only expectation is not to stigmatise us due to the black sheep in the area which exist in any village or town”, he stated. On the other hand, the lamani community has been vocal in their demands and expectations. Ganesh Lamani, General Secretary of Goa Banjara Samaj informed that Banjara community’s total population is estimated around 2 lakh and the voting population is around 1.2 lakh. The population is concentrated in Mormugao Taluka and the South Goa and those living in the North mostly do not posses any voting rights and they don’t intend to seek also. He further said that the problem of Goans and non-Goans is something that the community as a whole is facing. “Even as we enjoy all the rights which every other Goans enjoys and despite serving the state in various sectors we are still considered outsiders”, he stated. From politician to the men and women living in the slums, the idea of polls changes from Assembly elections to Lok Sabha elections. While, the population in the slums knows their impact on the Assembly polls, they do feel that the larger population outside their slums dominate the discourse as well as the lections during the general elections.